So simple but yet so stylish, this Round Frameless Wall Mirror would look fantastic in and modern living room or hall way and would even make for a perfect bathroom mirror. 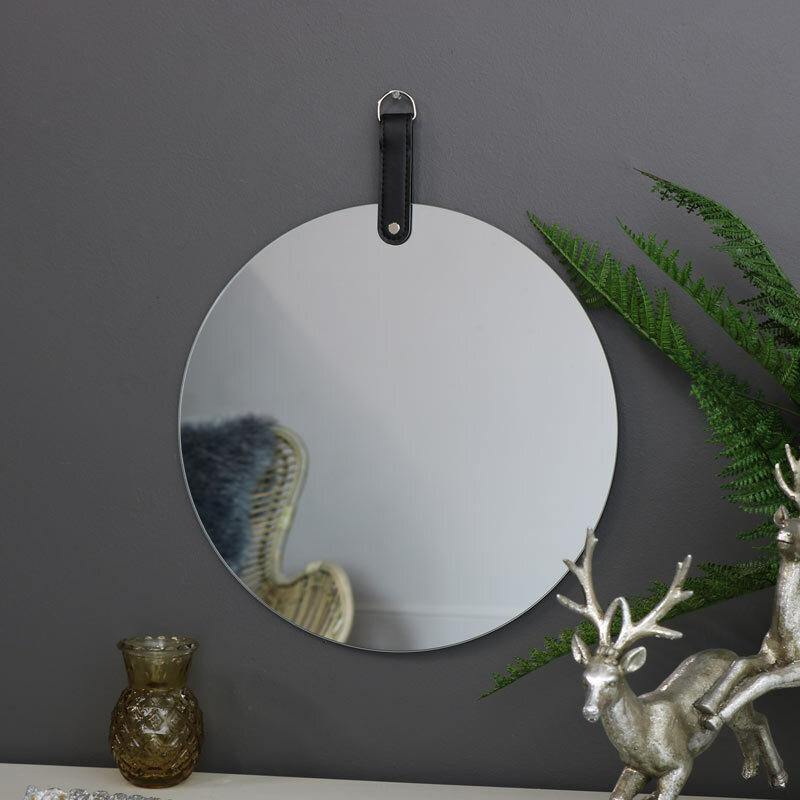 In a large circle shape, the mirror comes with a clear mirrored surface and hangs from a leather look strap.. Clear and concise lines with the mirror in a circle shape, this will easily fit in with most interior colours and styles. With mirrors making a popular, practical and stylish accessory, this one will be just perfect. 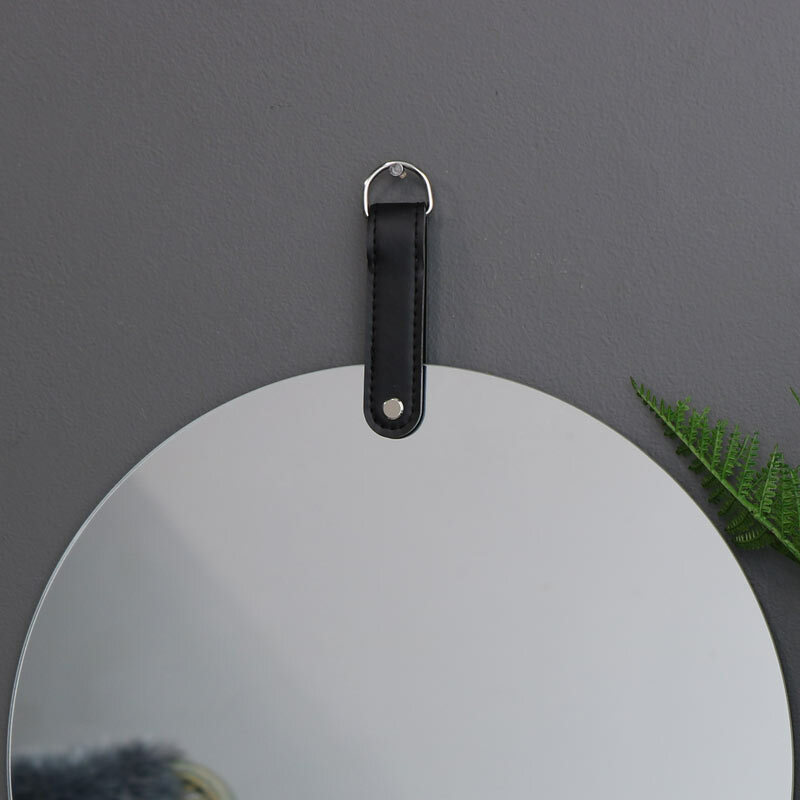 Frameless design mirror in a circular shape, hangs from a metal d-ring attached to a black leather effect strap attached to the mirror. Our ever growing range of mirrors is certainly impressive. Mirrors from every shape and size in a great choice of colours and styles with wall mounted, freestanding, leaner and table top vanity mirrors, with something for every decor.